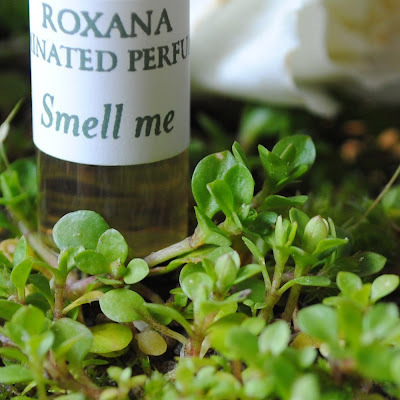 Roxana Illuminated Perfume: Scents That Sing "Spring!" Ah, it's Fragrant Friday and I am participating with fellow bloggers under a united theme of Spring organized by fellow natural perfumer Ayala Moriel. Please follow the links at the end of this post to travel to the other participants in this blogorama feast..
Spring sings primarily of green to both my nose and vision, especially after a good healthy dose of rain like we have had this year. It's the color and scent of fresh grass, leaves and new life. Each day I hear the birds chirping their happy little tunes which provides a nice musical score while I write or formulate perfumes. In the natural botanical perfume palette it is the scent of Galbanum Resin, one of my very favorites and oh soooo very green. The other note in the palette I find extremely green in Violet Leaf absolute. Both these essences can only be used in minute amounts or the blend will be completely overtaken by the verdant . I won't go on about this since I have just about exasperated the subject of green here at this journal. On a visual level I the conifer absolutes, like Fir, Spruce or Pine, contain the essence of green in their chroma. This trio is thick and viscous imparting a gorgeous vivid color to a botanical perfume. Another way to obtain the hue of green is by tincturing specific raw materials that when put to alcohol will give up their color as well as their aroma. Some work best than others, I encourage you to experiment to find the one you like best in both aroma and color. As mentioned above I also attribute Spring to life. 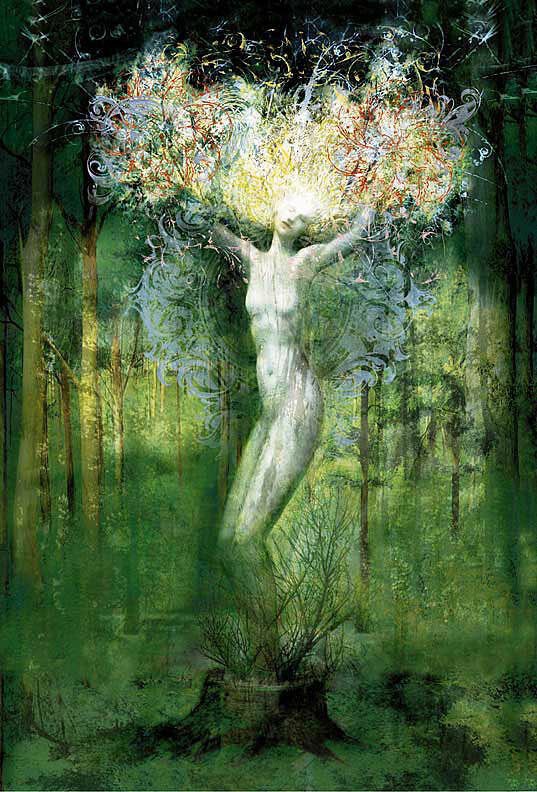 Transitioning from the cold and dark of Winter to the warmth and light of the Spring feels rejuvenating. If you are still feeling a bit in the doldrums consider using Frankincense essential oil as a single note perfume or in the bath before bed. Jan Kusmirek in his little book"Aromatherapy for the Family" mentions Frankincense when experiencing the sense a burnout. "On me it started out with a beautiful citrus burst of blood orange and lemon with bits of burnt marshmellow and earth( I think the voilet leaf is most pronounced here). Then evolves to wonderful fresh cut grass- reminds me of a wheat grass shot mixed with some fresh roses that are just barely blooming. In the dry down Smell Me is a big bright rose intertwined with a few jasmine flowers, juicy oranges and cedarwood to round out the scent." Now, for those of you who love scented products please visit the blogs of my fellow participants, many of them have put lists together of their favorite Spring Time products. Ayala is having a giveaway at her SmellyBlog, be sure to enter! 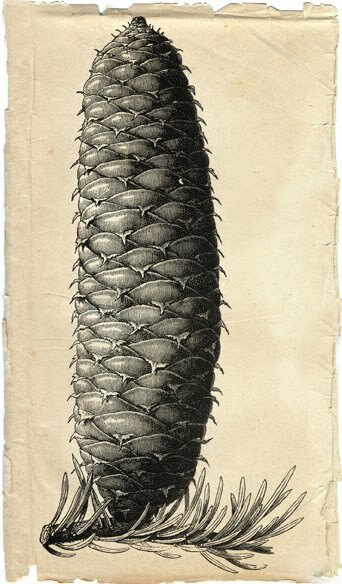 IMAGES: Opening image ©Greg Spalenka, visit his shop here, Pine Cone and Smell Me photo by Roxana Villa and Scents That Sing Spring image supplied by Elena of Perfume Shrine. I read your blog everyday. You are a fanastic writer with interesting topics about perfume and life. I was so happily suprised to see my quote in your spring scents with Smell Me. What an honor, Thank you Roxana. Wishing you a beautiful day. It's a great pleasure to make beautiful scented items for individuals like YOU dear Princess Ellie. Thank you abundantly for your support on all levels! You have offered a beautiful bouquet of ways to smell yourself into springtime. Even before I "knew" anything about perfume, I have always been drawn to frankincense, using it just as you say, droplets in a bath. It lifts me up and grounds me at the same time. I'm happy to find a fellow devotee of Frankincense. Cheers to you Katie.